Please fill out the Contact Form below or use the relevant phone number on this page. 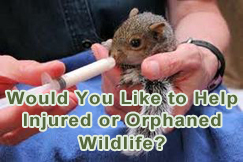 If we are unable to answer a question or help an animal, we will provide you with resources that can. We will respond as soon as possible, generally within 24 hours.